For too many years stage musicals on video have been a rarity, with just a few titles available. Whit the arrival of DVD/Blu-ray I thought musicals might have a chance, but there are only a few titles to keep us smiling. You can find opera titles, classical musical concerts and even the work of Gilbert & Sullivan on DVD/Blu-ray, so why aren’t there more stage musicals? I know that we, musical lovers, aren’t a large number, but even so we deserve to have our favorite musicals and concerts on DVD/Blu-ray, not to mention the television shows connected with the genre. 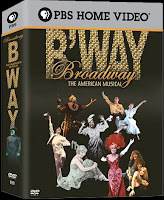 Presently, there are sites like BroadwayHD where we can watch shows that haven’t been released on DVD/Blu-ray, but those shows aren’t available forever on streaming, so let’s hope they will get a DVD/Blu-ray release on the near future. 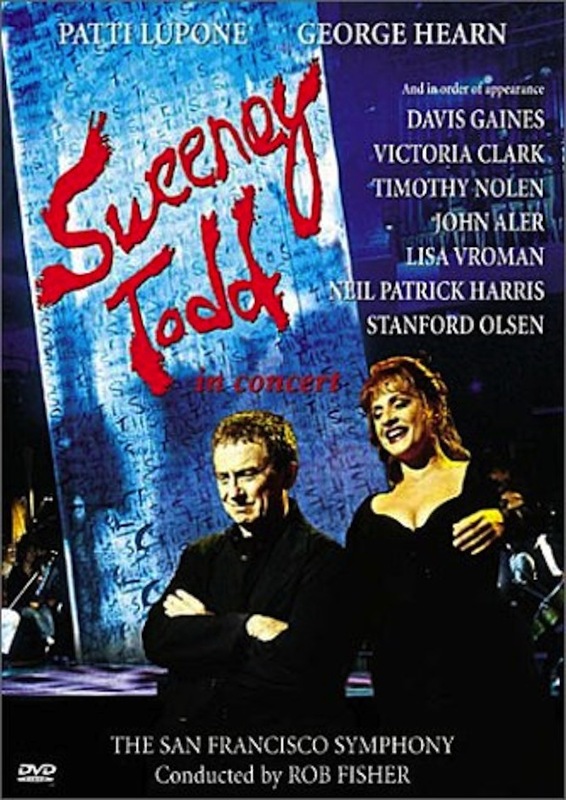 This is a list, as complete as possible, of all musicals in concert that were released on DVD/Blu-ray, plus related videos. 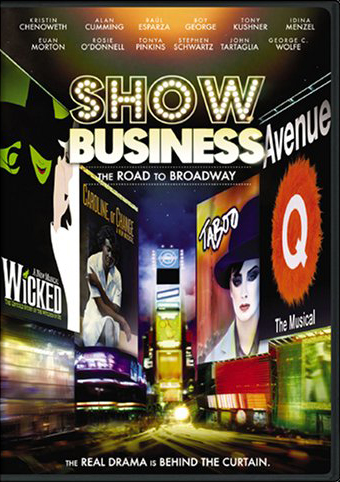 For a list of STAGE MUSICALS ON DVD/BLU-RAY click here. 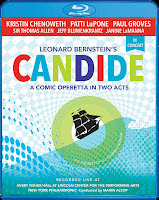 CANDIDE IN CONCERT - The New York Philharmonic's concert of Leonard Bersntein's musical, with Patti LuPone, Kristin Chenoweth, Paul Groves, Stanford Olsen and Sir Thomas Allen. Directed by Lonny Price. Recorded live at Avery Fisher Hall at the Lincoln Center in 2004. 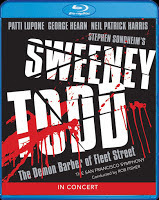 SWEENEY TODD IN CONCERT - Blu-ray release of The San Francisco Symphony Orchestra's 2001 concert production of Stephen Sondheim's musical. Starring: George Hearn, Patti Lupone, Davis Gaines, Victoria Clark, Timothy Nolen, John Aler, Lisa Vroman, Neil Patrick Harris and Stanford Olsen. 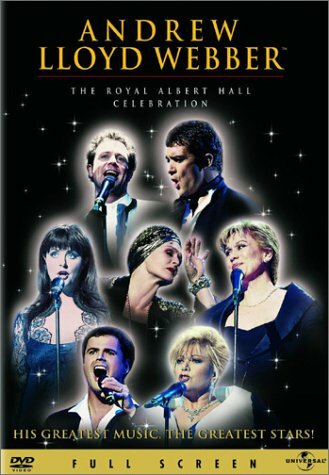 ANDREW LLOYD WEBBER - THE ROYAL ALBERT HALL CELEBRATION - Star-studded gala tribute to Andrew Lloyd Webber. Starring Tina Arena, Antonio Banderas, Glenn Close, Donny Osmond, Elaine Paige, Kiri Te Kanawa, Bonnie Tyler, Michael Ball, Marcus Lovett, Boyzone, Sarah Brightman and Boyzone. 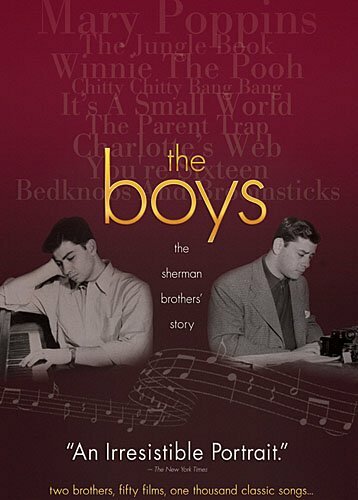 THE BOYS: THE SHERMAN BROTHER’S STORY - Documentary about the prolific and award-winning collaboration of songwriting brothers Robert Sherman and Richard Sherman. “It uses original interviews, archival footage and personal photographs to create a full portrait of the songwriters' lives.” Includes bonus features. 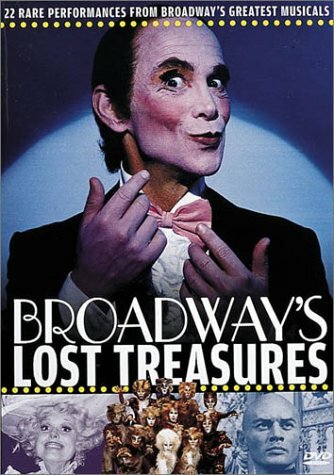 BROADWAY LOST TREASURES - DVD release of the PBS program saluting the Tony Awards. Starring Zero Mostel, Patti Lupone, Julie Andrews, Joel Grey, Carol Channing, Tommy Tune, Gwen Verdon, Chita Rivera and many more. It includes five additional numbers not shown on the television broadcast. 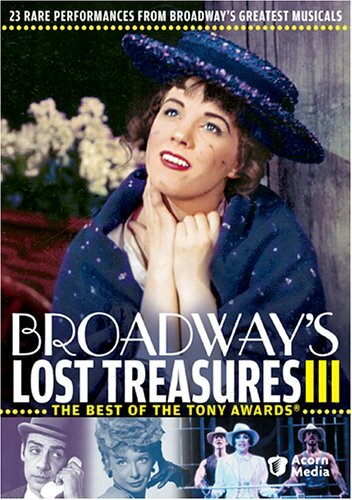 BROADWAY LOST TREASURES II - A new collection of rare musical performances taken from the Tony Awards broadcasts. Starring, among others, Angela Lansbury, Chita Rivera, Michael Jeter, Patti Lupone, Robert Morse and Jerry Orbach. Numbers from, among others, SWEET CHARITY, CHICAGO, GRAND HOTEL, MAME, GUYS AND DOLLS and ANYTHING GOES. The DVD includes bonus material from ME AND MY GIRL, NINE, COCO and FIORELLO. 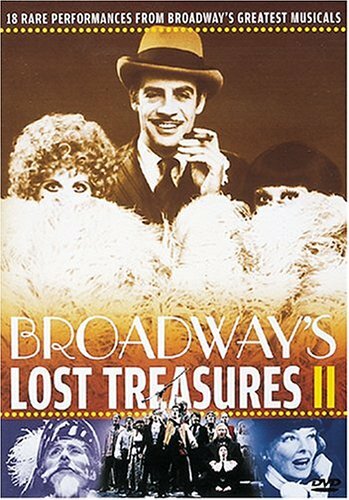 BROADWAY LOST TREASURES III - A new collection of rare musical performances taken from the Tony Awards broadcasts. Starring, among others, Julie Andrews, Robert Goulet, Angela Lansbury, Jerry Orbach, Ethel Merman, Chita Rivera and Kristin Chenoweth. Numbers from, among others, FOSSE, INTO THE WOODS, KISS ME KATE, KISS OF THE SPIDER WOMAN, RAGTIME, WEST SIDE STORY and CRAZY FOR YOU. 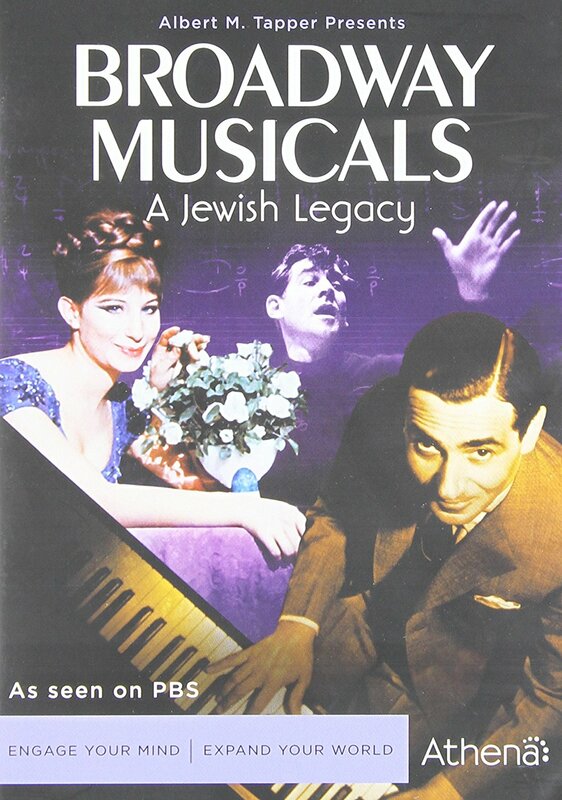 BROADWAY MUSICALS A JEWISH LEGACY – This Albert M. Tapper production, directed by Michael Kantor an narrated by Joel Grey, examines the unique role of Jewish composers and lyricists in the creation of the modern American musical. The film showcases the work of legends such as Irving Berlin, Jerome Kern, George and Ira Gershwin, Lorenz Hart, Richard Rodgers, Oscar Hammerstein II, Leonard Bernstein, and Stephen Sondheim. Interviews with songwriters and luminaries including Sheldon Harnick, Stephen Schwartz, Harold Prince, Arthur Laurents, Charles Strouse, and Mel Brooks provide insight, alongside standout performances and archival footage. BROADWAY: THE AMERICAN MUSICAL - Julie Andrews hosts this six-part, six-hour PBS documentary that chronicles the 100 year old genre and its relationship with 20th century American life. Each of the 6 episodes take a look at a different era: “Give My Regards to Broadway” (1893-1927); “Syncopated City” (1919-1933); “I Got Plenty O’ Nuttin’ “ (1930-1942); “Oh, What a Beautiful Mornin’ “ (1943-1960); “Tradition” (1957-1979); “Putting It Together” (1980-Present). 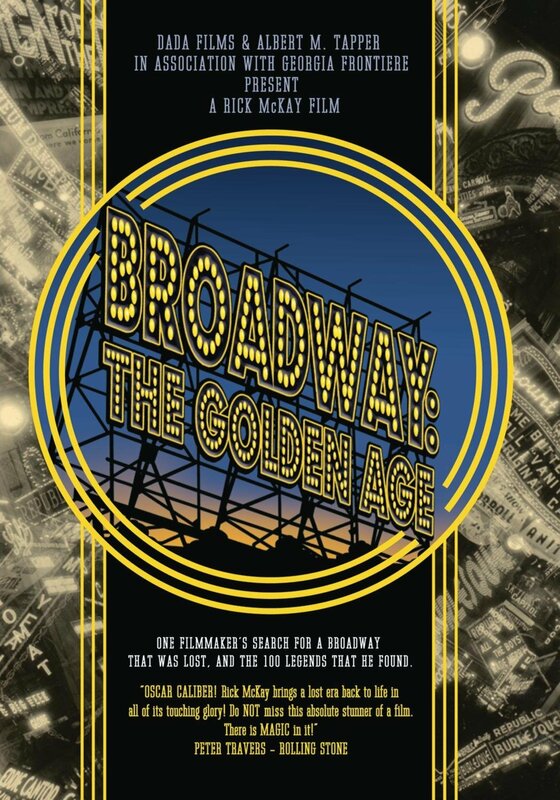 BROADWAY: THE GOLDEN AGE - An ambitious and comprehensive film about America's most celebrated indigenous art form. Award-winning filmmaker Rick McKay filmed over 100 of the greatest stars ever to work on Broadway or in Hollywood, including Carol Burnett, Carol Channing, Robert Goulet, Angela Lansbury, Shirley MacLaine, Jerry Orbach, Chita Rivera, Stephen Sondheim, Elaine Stritch and Gwen Verdon. 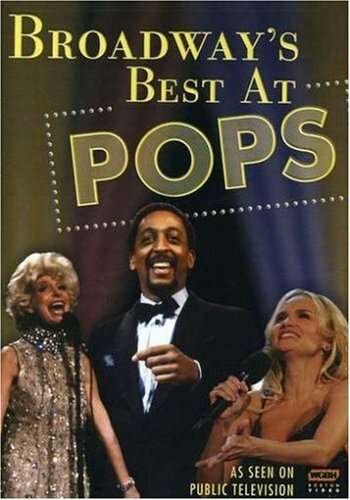 BROADWAY'S BEST AT POPS - DVD edition of "Broadway's Best At Pops" showcasing memorable moments enhanced with candid interviews with renowned conductors and Broadway personalities drawn from some 35 years of public television musical history. "Broadway's Best At Pops" features such luminaries as Ethel Merman, Ray Bolger, Kristin Chenoweth, Pearl Baily, Bonnie and John Raitt, Bernadette Peters, Tommy Tune, Carol Channing, Gregory Hines, and dozens of others. Includes an additional twenty-five minutes of interviews with John Williams, Michael Feinstein, Barbara Cook and others. 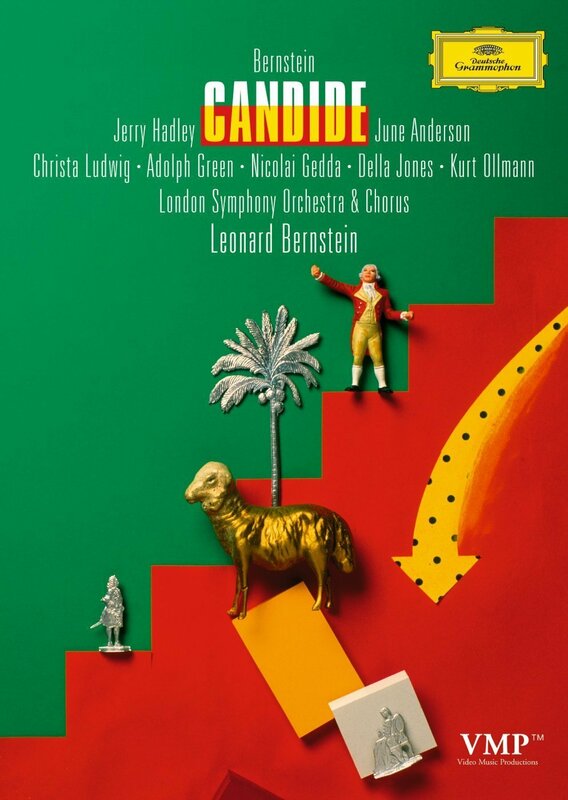 CANDIDE - Leonard Bernstein narrates and conducts this 1989 concert version, starring Jerry Hadley, June Anderson, Adolph Green, Christa Ludwig, Nicolai Gedda, Della Jones and The London Symphony Orchestra and Chorus. Videotaped at the Barbican Centre, London. 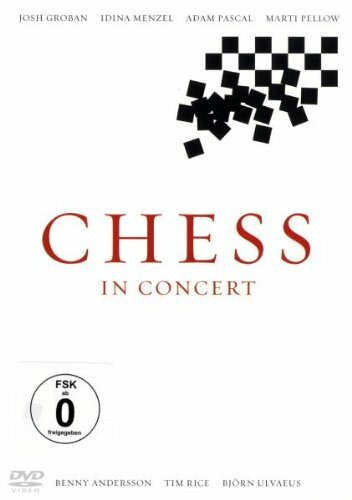 CHESS IN CONCERT - Telecast directed by David Horn and produced by Austin Shaw of the London’s Royal Albert Hall Concert of the Benny Anderson-Tim Rice-Björn Ulvaeus musical. Starring Idina Menzel, Adam Pascal, Josh Groban, Kerry Ellis, David Bedella, Clarke Peters and Marti Pellow. The ensemble includes Grant Anthony, Christopher Colley, Tiffany Graves, Leila Benn Harris, David Michael Johnson, Debbie Kurup, Aoife Mulholland and Tabitha Webb. CHITTY CHITTY BANG BANG: THE MAKING OF - A behind the scenes look at the creation of the stage production of the Richard M. & Robert B. Sherman musical. Besides interviews with, among others, Michael Ball, Emma Williams, Gillian Lynn and Nichola MacAuliff, it includes five full production numbers ("Hushabye Mountain", "Me Ol Bamboo", "Bombie Samba", "Doll on a Music Box/Truly Scrumptious", and the "Finale"). 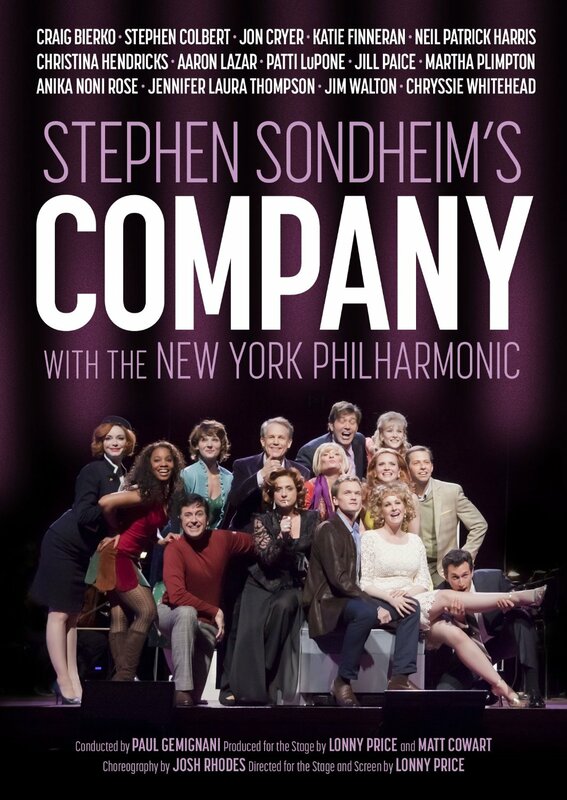 COMPANY - DVD and Blu-ray release of The New York Philharmonic concert production of Stephen Sondheim’s musical. Directed by Lonny Price and starring Neil Patrick Harris, Patti LuPone, Martha Plimpton, Anika Noni Rose, Stephen Colbert, Jim Walton, Jon Cryer, Craig Bierko, Katie Finneran, Christina Hendricks, Aaron Lazar, Jill Paice, Jennifer Laura Thompson and Chryssie Whitehead. 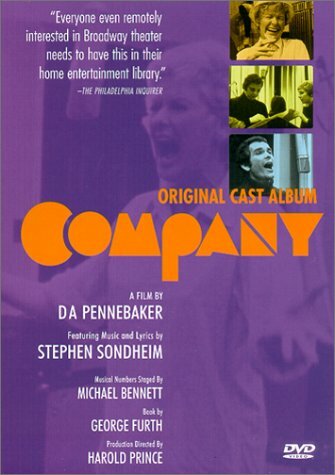 COMPANY - A close look at the recording sessions of COMPANY's Broadway cast album. Featuring, among others, Elaine Stritch, Dean Jones, Barbara Barrie, Charles Kimbrough, Donna McKechnie and Stephen Sondheim. 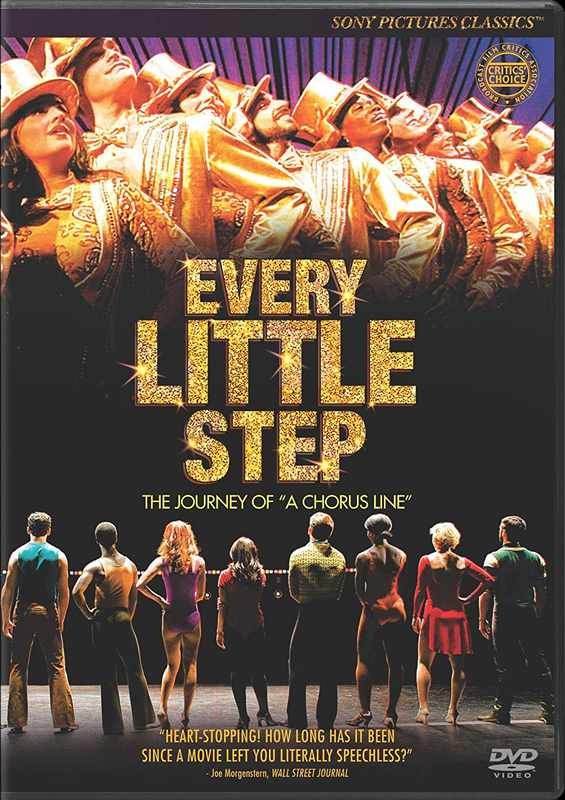 EVERY LITTLE STEP - 2008 documentary about casting the revival of A CHORUS LINE. 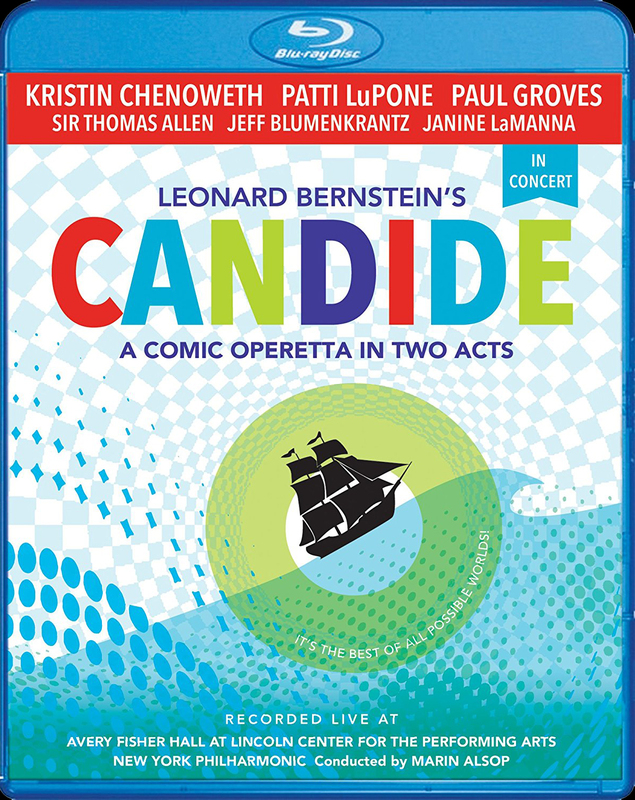 Includes scenes from the show and interviews with Bob Avian, Charlotte d'Amboise, Jacques d'Amboise, Natascia Diaz, Marvin Hamlisch, Baayork Lee, Donna McKechnie, Alison Porter, Rachelle Rak, Nikki Snelson, Chryssie Whitehead. FIRST YOU DREAM: THE MUSIC OF KANDER & EBB - DVD release of the 2015 televised tribute to John Kander and Fred Ebb. Featuring Kate Baldwin, Heidi Blickenstaff, James Clow, Norm Lewis, Julia Murney and Matthew Scott. Directed for stage by Eric Schaeffer and produced by HMS Media. Music direction and vocal arrangements by David Loud. Bonus items: "She's A Woman/Dressing Them Up" (Kiss of the Spider Woman), "Blue Crystal/Marry Me" (The Rink), "I Don't Care Much" (Cabaret), "Love and Love Alone" (The Visit) and "The Money Tree/Maybe This Time" (Cabaret/The Act). 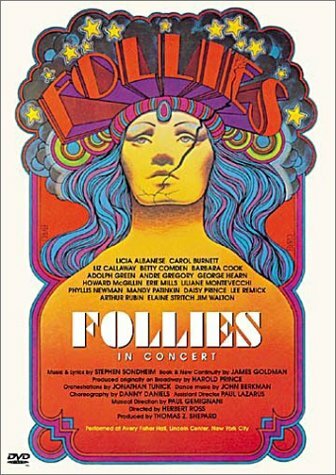 FOLLIES IN CONCERT - Music and Lyrics by Stephen Sondheim - Starring: Carol Burnett, Liza Callaway, Betty Comden, Barbara Cook, Adolph Green, George Hearn, Howard McGillin, Liliane Montevecchi, Phyllis Newman, Mandy Patinkin, Lee Remick, Jim Walton and Elaine Stritch. 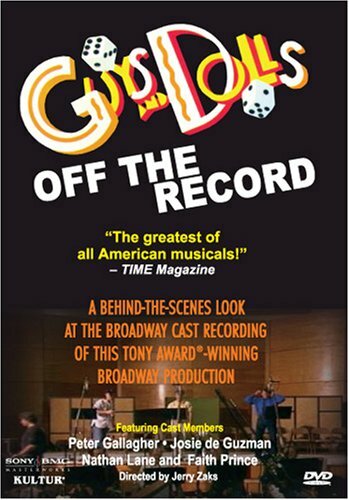 GUYS AND DOLLS - OFF THE RECORD - 1992 documentary about the making of the revival cast recording. Complete takes of some songs plus behind the scenes footage in the studio with cast, director Jerry Zaks and musical director Edward Strauss. Commentary by Peter Gallagher, Josie de Guzman, Nathan Lane, and Faith Prince. 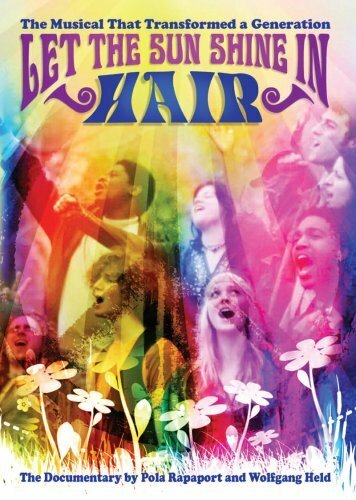 HAIR: LET THE SUNSHINE IN - Documentary about the musical. Archival footage from U.S. and international productions; interviews with authors James Rado and Gerome Ragni, composer Galt MacDermot and Broadway director Tom O'Horgan and Milos Forman; footage of James Rado rehearsing HAIR with various companies; interviews with original cast members Keith Carradine, Ben Vereen and Melba Moore; television appearances by Rado and Ragni, both of whom starred in the original Broadway company. 55-minute documentary with an hour of additional footage. 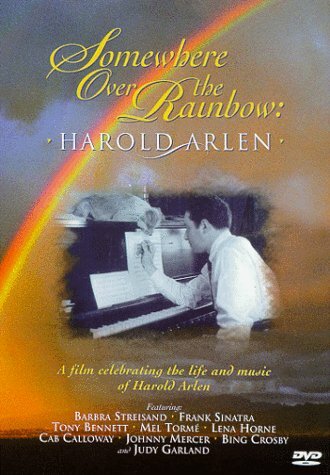 HAROLD ARLEN: SOMEWHERE OVER THE RAINBOW - This film chronicles the life of American songwriter Harold Arlen. Through interviews with several artists Arlen's career is revisited. Featuring Barbra Streisand, Frank Sinatra, Tony Bennett, Mel Torme, Lena Horne, Cab Calloway, Johnny Mercer, Bing Crosby and Judy Garland. 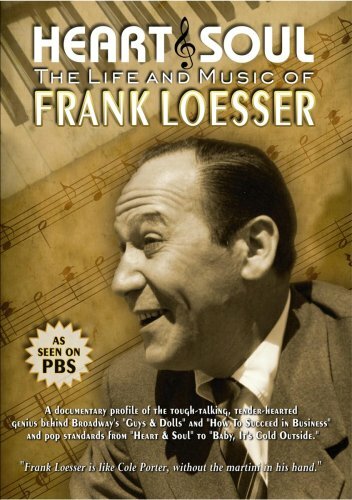 HEART & SOUL THE LIFE AND MUSIC OF FRANK LOESSER - PBS’ documentary profile on composer/lyricist Frank Loesser (GUYS AND DOLLS, THE MOST HAPPY FELLA, HOW TO SUCCEED IN BUSINESS WITHOUT REALLY TRYING, among others). Includes clips from some of his shows and movies, plus interviews with Matthew Broderick, Robert Morse, Charles Nelson Reilly, Stephen Schwartz, Jo Sullivan Loesser, Emily Loesser, Margaret Whiting, Jerry Herman and Betty Garrett. 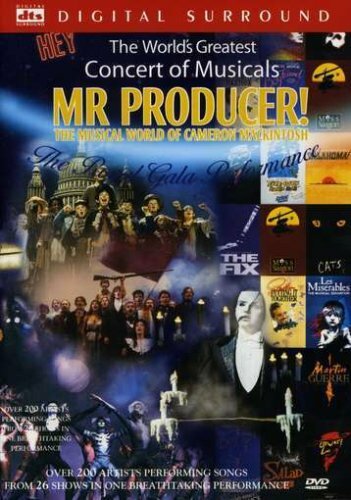 HEY MR. PRODUCER, THE MUSICAL WORLD OF CAMERON MACKINTOSH - A Royal Gala tribute to producer Cameron Mackintosh, starring Michael Ball, John Barrowman, Judi Dench, Maria Friedman, Ellen Greene, Ruthie Henshall, Julia McKenzie, Elaine Paige, Bernadette Peters, Lea Salonga, Jonathan Pryce and many others. 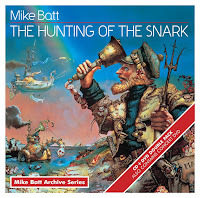 THE HUNTING OF THE SNARK - 2 DVD set of the Royal Albert Hall concert on April Fool's Day 1987. 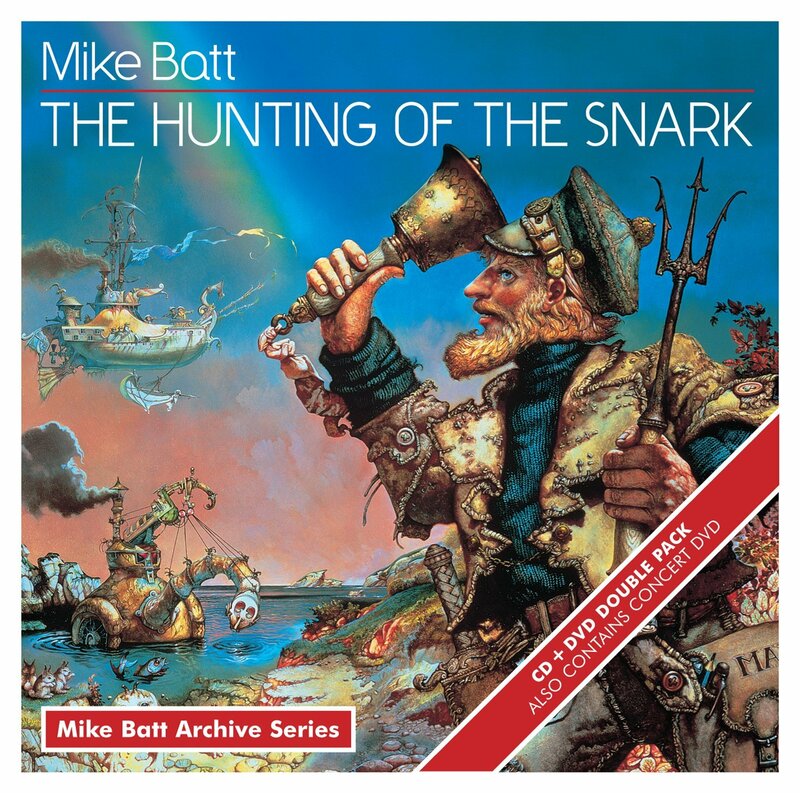 Score by Michael Batt, starring Roger Daltrey, Justin Hayward, John Hurt, Billy Connolly, Julian Lennon, Captain Sensible, Deniece Williams, Migde Ure. 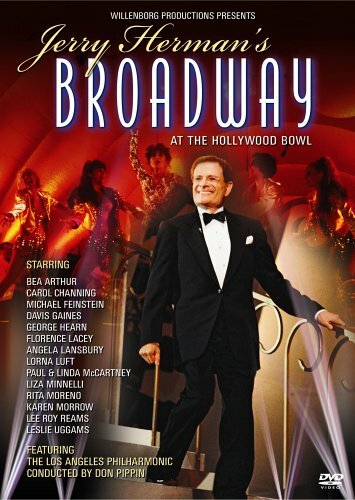 JERRY HERMAN'S BROADWAY AT THE HOLLYWOOD BOWL - A star-studded musical tribute to Jerry Herman, with Carol Channing, Leslie Uggams, Lee Roy Reams, Beatrice Arthur, Michael Feinstein, Lorna Luft, Rita Moreno, Davis Gaines, Karen Morrow, Florence Lacey and George Hearn. JOHNNY MERCER: THE DREAM’S ON ME - To mark the 100th anniversary of Johnny Mercer birth, this documentary presents his life and work through the story telling eyes of Clint Eastwood with new performances and interviews by: Tony Bennett, John Williams, Julie Andrews, Dr. John, Michael Feinstein, Blake Edwards, Jamie Cullum, Audra McDonald, Andre Previn and Stephen Holden. 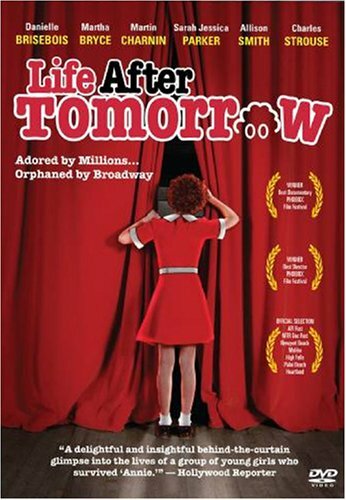 LIFE AFTER TOMORROW – This film by Julie Stevens and Gil Cates, Jr., reunites more than 40 women who played orphans in the original Broadway production of Annie and reveals the highs and lows of their experiences as child actresses in a cultural phenomenon. Once the curtain came down, many found it could be a hard-knock-life, fraught with out-of-control stage mothers, separation anxiety, and worst of all, pubescent growth spurts that could find the moppets being replaced by smaller, younger editions just waiting in the wings. Features behind-the-curtain footage from the original Broadway production and performances with the re-united orphans. Featuring Allison Smith, Dara Brown, Julie Stevens, Charles Strouse and Sarah Jessica Parker. 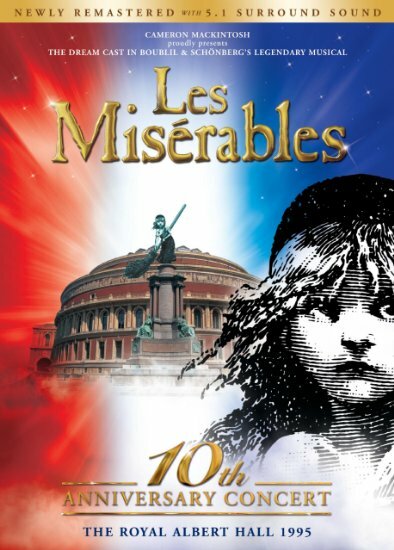 LES MISÉRABLES: 10TH ANNIVERSAY CONCERT SPECIAL EDITION - Newly remastered version of the 1995 concert featuring Colm Wilkinson, Lea Salonga, Judy Kuhn, Michael Ball, and Alun Armstrong with a 150-voice chorus and the Royal Philharmonic Orchestra. 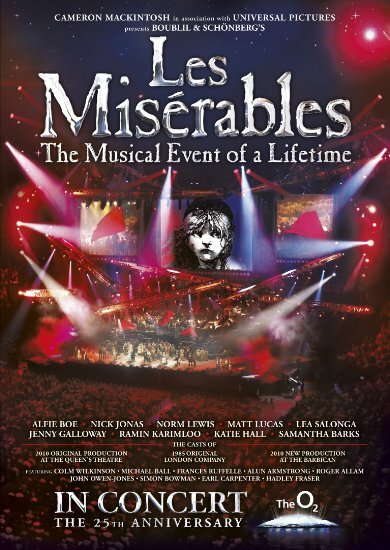 Bonuses: never-before-seen interview footage with producer Cameron Mackintosh, composer Claude-Michel Schönberg, and lyricist Alain Boublil; one-hour documentary Stage by Stage – The Making of Les Mis"; 12-page commemorative booklet; replica ticket from the 1995 London after-party. LES MISERÀBLES: 25TH ANNIVERSARY - Special performance from London's O2 Arena. Cast: Alfie Boe as Jean Valjean, Nick Jonas as Marius, Norm Lewis as Javert, Matt Lucas as Thenardier, Lea Salonga as Fantine, Jenny Galloway as Madame Thenardier, Ramin Karimloo as Enjolras, Camilla Kerslake as Cosette and Samantha Barks as Eponine. 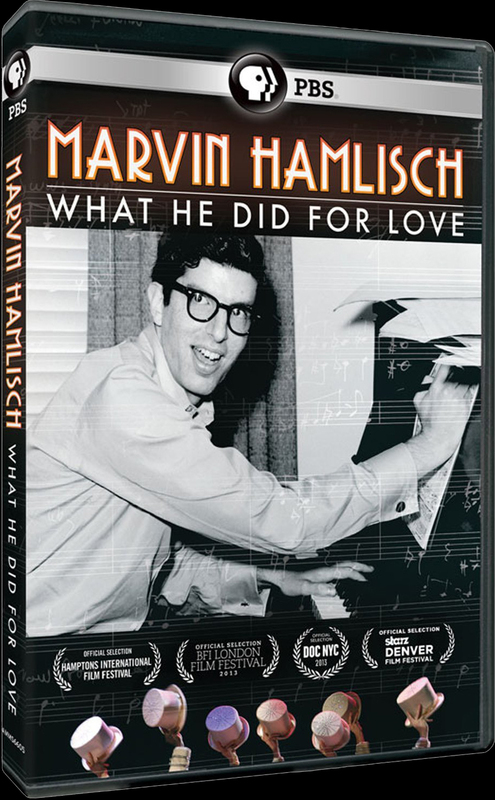 MARVIN HAMLISCH - WHAT HE DID FOR LOVE - DVD release of the PBS special created with cooperation from Hamlisch’s family and access to his personal archives. Bonus include, among others: What He Did For Love; At The Ballet; Genius At Work; The Musician's Musician; The People's Composer; Christopher Walken on Dance; Marvin's Mentor-Jule Styne; The Glass Menagerie - Musical; Peter Dugan & Charles Yang - I Can Not Hear The City; Marvin Hamlisch & Ed Kleban: A Beautiful Collaboration. 84 minutes. 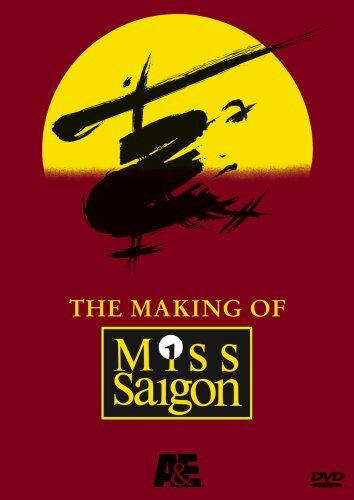 MISS SAIGON, THE MAKING OF - Like the title says, this is a documentary about the making of the stage hit MISS SAIGON. "Witness the evolution of this monumental production from its inception in the sumptuous hills of Provence to its glamorous London debut on a fascinating insider's voyage into the world of the theater." MY FAVORITE BROADWAY: THE LEADING LADIES - Live at Carnegie Hall a star-studded concert with, among others, Karen Ziemba, Bebe Neuwirth, Marin Mazzie, Elaine Stritch, Audra McDonald, Jennifer Holliday, Linda Eder, Nell Carter, Liza Minnelli, Marin Mazzie and Rebecca Luker. 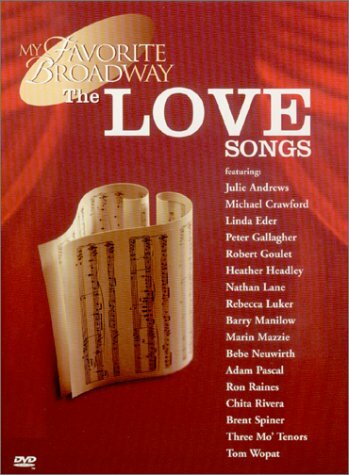 MY FAVORITE BROADWAY: THE LOVE SONGS - Live at Carnegie Hall a star-studded concert with, among others,Chita Rivera, Peter Gallagher, Bebe Neuwirth, Michael Crawford, Robert Goulet, Heather Headley, Nathan Lane, Tom Wopat, Barry Manilow, Marin Mazzie, Ron Raines, Rebecca Luker and Adam Pascal. 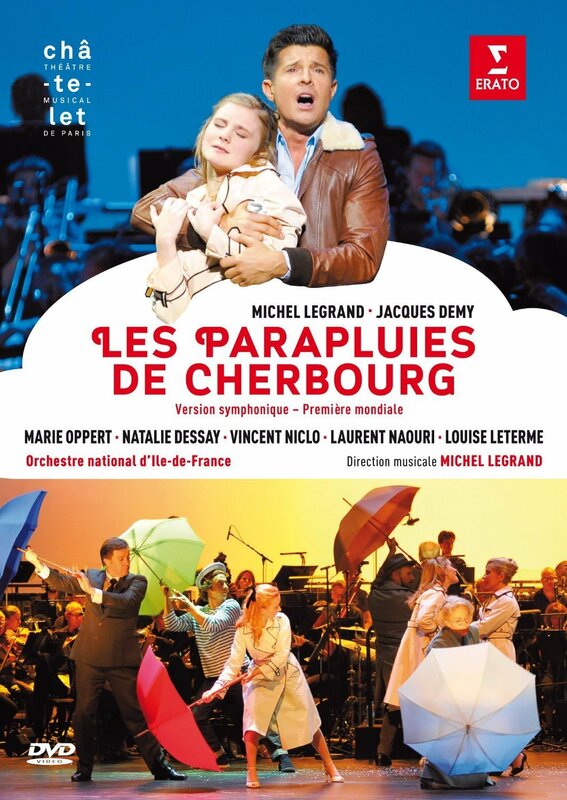 LES PARAPLUIES DE CHERBOURG - Live symphonic performance of Michel Legrand's 'Les Parapluies De Cherbourg' recorded at the Théâtre du Châtelet in Paris. Vincent Vittoz directs the cast which includes Natalie Dessay, Marie Oppert and Vincent Niclo. 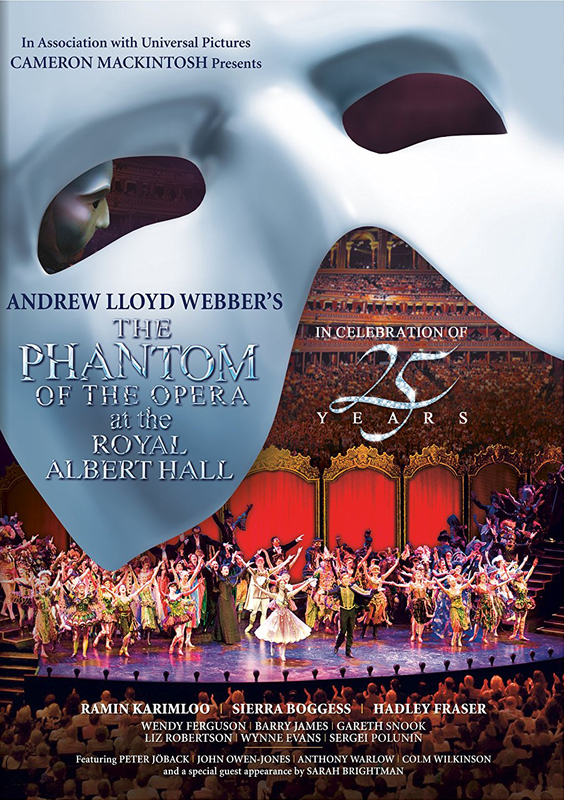 THE PHANTOM OF THE OPERA AT THE ROYAL ALBERT HALL - DVD and Blu-ray release of the October 2, 2011 Royal Albert Hall concert that celebrates the 25th Anniversary of Andrew Lloyd Webber musical. Starring Rosemary Ashe, Sarah Brightman, Michael Crawford, Steve Barton, Sierra Boggess, David Firth, Hadley Fraser, John Savident, John Aron, Mary Millar and Ramin Karimloo. 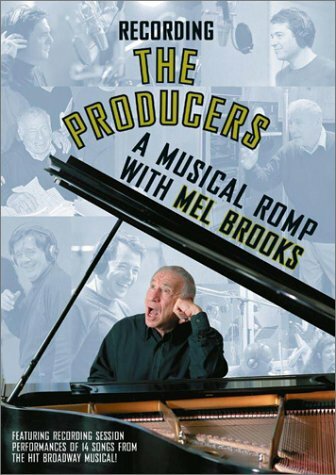 RECORDING THE PRODUCERS - Subtitle "a musical romp with Mel Brooks", this is documentary about the recording of THE PRODUCERS cast album. Featuring, among others, Nathan Lane, Matthew Broderick, Cady Huffman, Gary Beach, Brad Oscar, Roger Bart, Susan Stroman and Mel Brooks. RICHARD RODGERS - SOME ENCHANTED EVENING - Live gala concert celebrating the centenary fo the birth of Richard Rodgers. 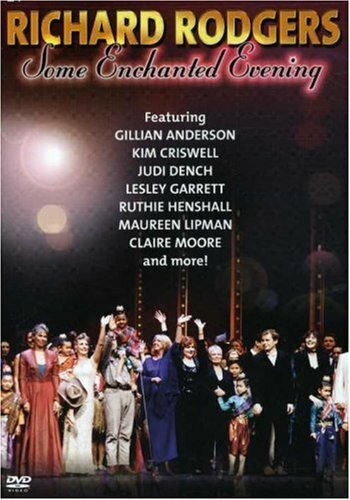 With, among others, Kim Criswell, Ruthie Henshall, Claire Moore, Maureen Lipman, Lesley Garrett, Judi Dench, Graham Bickley, Dave Willetts, Joanna Riding and Claire Sweeny. 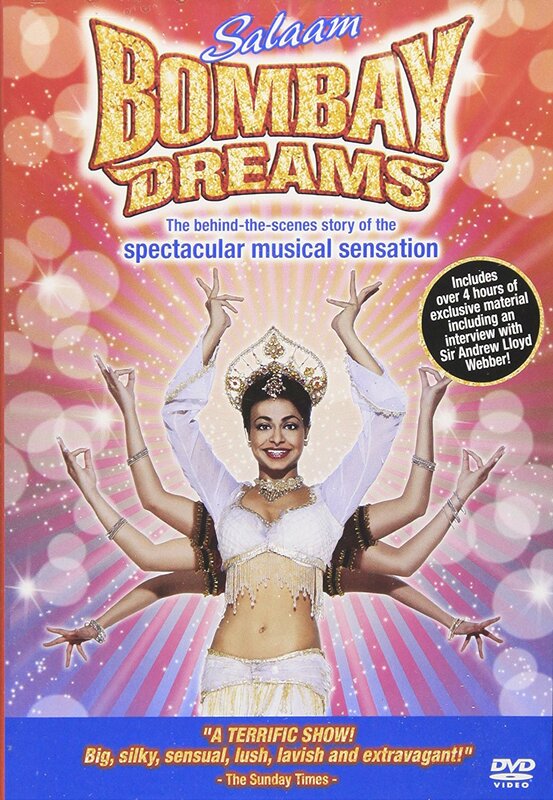 SALAAM BOMBAY DREAMS - The "making of" of the London production of BOMBAY DREAMS. From rehearsal to opening night, with an exclusive interview with Andrew Lloyd Webber and numbers from the musical. SHOW BUSINESS - Over the course of one Broadway musical season (2003-2004), SHOW BUSINESS follows the four high-profile productions that would eventually become Tony nominees for Best Musical: a musical named "Wicked," from creators Rosie O'Donnell/Boy George "Taboo," playwright Tony Kushner (Angels in America) musical, "Caroline, or Change," and the puppet show "Avenue Q.". 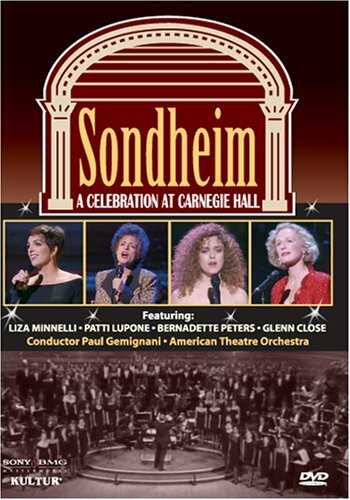 SONDHEIM: A CELEBRATION AT CARNEGIE HALL - An all star concert celebration of Stephen Somdheim's work. Starring, among others, Bernadette Peters, Betty Buckley, Madeline Kahn, Patti Lupone, Glenn Close, Liza Minnelli, Jerry Hadley, Mark Jacoby, Bill Irwin, Karen Ziemba and Dorothy Loudon. 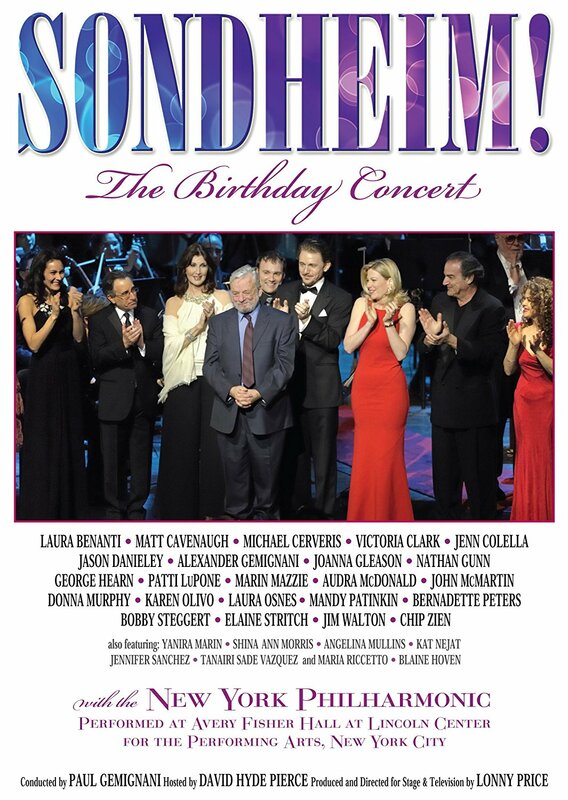 SONDHEIM: THE BIRTHDAY CONCERT - The New York Philharmonic's March concerts celebrating Stephen Sondheim's 80th birthday, hosted by David Hyde Pierce and featuring Bernadette Peters, Elaine Stritch, Patti LuPone, George Hearn, John McMartin, Mandy Patinkin, Laura Benanti, Matt Cavenaugh, Michael Cerveris, Victoria Clark, Jenn Colella, Jason Danieley, Joanna Gleason, Nathan Gunn, Marin Mazzie, Audra McDonald, Donna Murphy, Gillian Murphy, Laura Osnes, Bobby Steggert, Ethan Stiefel, Jim Walton and Chip Zien. Sondheim collaborator Paul Gemignani conducted the concerts, which were directed by with Lonny Price and choreographed by Josh Rhodes. 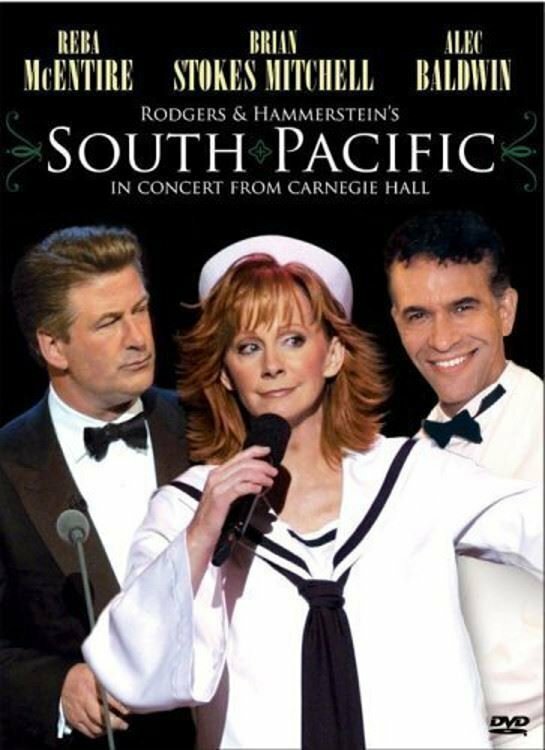 SOUTH PACIFIC - PBS Great Performances concert of the Rodgers & Hammerstein classic, starring Reba McEntire, Brian Stokes Mitchell, Jason Danieley, Lillias White and Alec Baldwin. 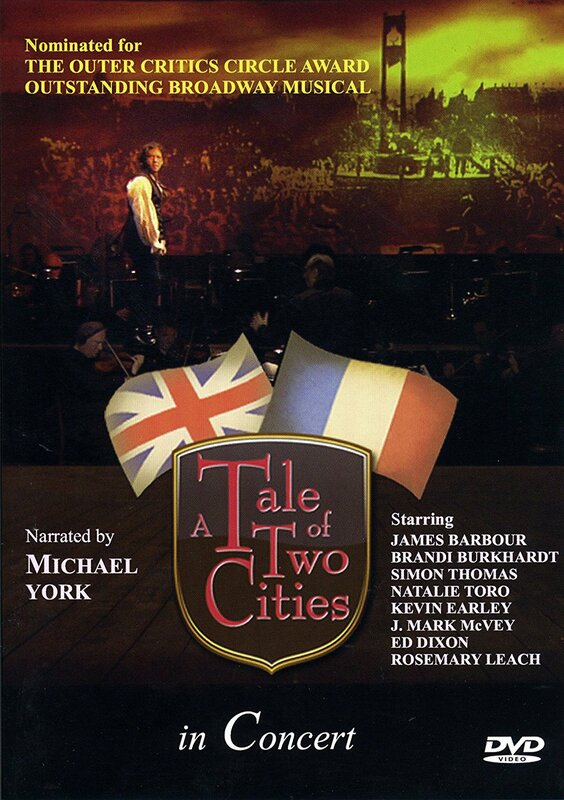 A TALE OF TWO CITIES - Concert staging of the Broadway musical, filmed at Theater Royal, Brighton, England in June 2009. Starring Michael York as the Narrator and original Broadway stars James Barbour, Natalie Toro, Brandi Burkhardt, among others. The concert (directed by Jack Cummings III) is a hybrid performance, complete with costumes, projections and other design elements. Music and Lyrics by Jill Santoriello. TRY TO REMEMBER THE FANTASTICKS - Documentary on The Fantasticks. "Filmmaker Eli Kabillio takes a wistful look back at the shows genesis, its creators and its continued worldwide popularity. Features interviews with composer Harvey Schmidt, author Tom Jones, original cast member Jerry Orbach, columnist Liz Smith, talk show host Joe Franklin, and many others. 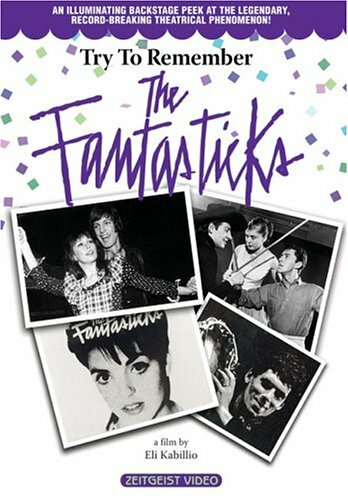 Bonuses: deleted scenes, Fantasticks ephemera gallery with vintage posters and photos. 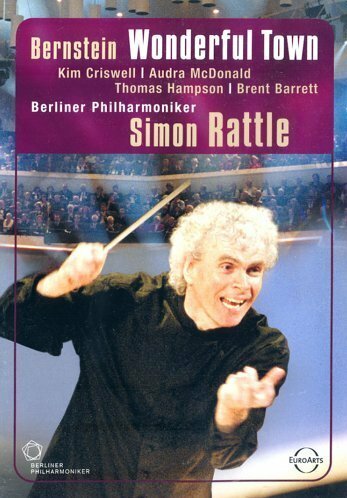 WONDERFUL TOWN IN CONCERT - Simon Rattle directs the Berlin Philarmonic Orchestra in this concert version of Leonard Bernstein and Comden & Green musical. Starring Kim Criswell, Audra McDonald, Thomas Hampson and Brent Barrett. 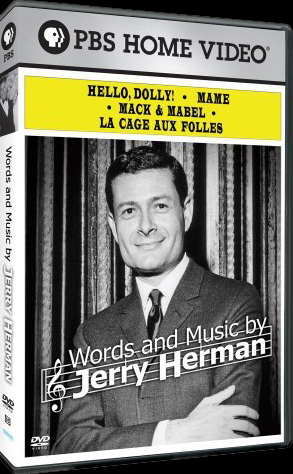 WORDS AND MUSIC BY JERRY HERMAN - Jerry Herman documentary that “chronicles Herman's rapid rise from witty, topical off-Broadway revues during the 1950s, to his first Broadway hits in the 1960s, through the less successful shows from the 1970s, to his triumphant return in 1983 with "La Cage aux Folles”. Bonus features: the complete "Hello Dolly!" number performed by Carol Channing and the original cast of "Hello, Dolly! "; "Put On Your Dancing Shoes" from Jerry Herman's 1955 college musical; and "Before the Parade Passes By" with Jerry Herman and Ethel Merman.